We are offering a unique opportunity for adventure lovers to experience the thrill of the ocean. On the 28th of December we will be sailing to the Tasman Peninsula, home to Port Arthur, The Three Capes and iconic Tasman Island. 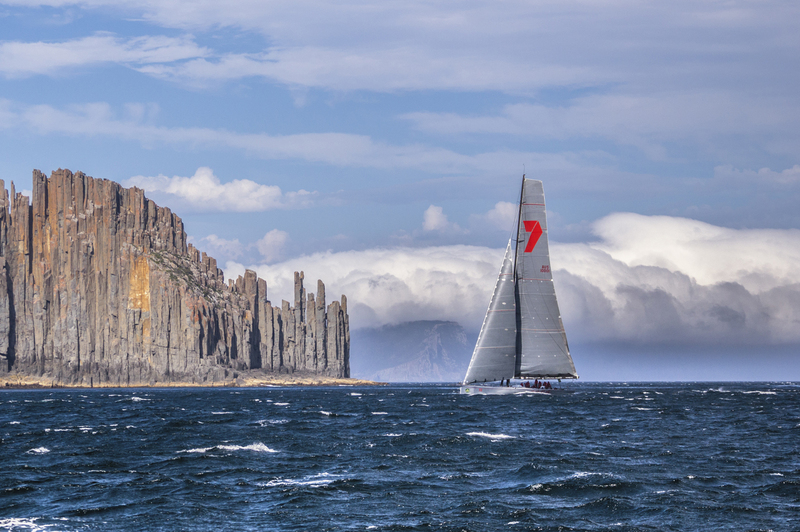 The Peninsula is the southeast corner of Tasmania and the turning point for the Sydney Hobart yachts as they head for home on the final leg of their epic journey. We will be aboard Helsal IV, a yacht that has herself competed in three Sydney Hobart races, and spend the night of the 28th moored at either Fortescue Bay on the eastern side, or Port Arthur on the southern side of the peninsula. On the morning of the 29th we will be up early and head for Tasman Island to view the seals, search for yachts and take some photos. Jimmy Emms, our photographer, will be aboard and you are invited to pick his brains and get the best shots possible. On our way home we will pass Cape Pillar, Cape Raoul and Shipstern Bluff, before sailing into Storm Bay and finally up the Derwent River and home to Sullivans Cove. This is a unique opportunity to experience Tasmania’s stunning wild coastline and witness some of the best ocean raceboats competing in one of the truly great open-ocean races of the world. What a great Christmas present! Join us for this overnight experience and feel the thrill of life on the open ocean. There are no minimum numbers but places are limited so book soon! When you book you will be prompted to pay a 10% deposit. You will get an email reminding you to pay the balance of the cost about two weeks prior to sailing.We are offering a unique opportunity for adventure lovers to watch the yachts in the Sydney to Hobart race round the corner on the final leg of this epic race. We do a three-day trip, leaving on the 28th of December and returning on the 30th of December. We will be sailing to the Tasman Peninsula, home to Port Arthur, the Three Capes and iconic Tasman Island. We will pass Cape Pillar (the tallest sea cliffs in Australia), Cape Raoul and Shipstern Bluff, and sail the race route home across Storm Bay and up the Derwent River to the finish line in Sulivan's Cove. The Peninsula is the southeast corner of Tasmania and Tasman Island is the point where the Sydney Hobart yachts turn west, heading to Storm Bay and the mouth of the River Derwent. We will be aboard Helsal IV, a yacht that has herself competed in three Sydney Hobart races. We aim to meet the leading yachts on day one and spend the night at anchor, usually at Port Arthur. On the morning of day two we will head for Tasman Island to view the large fur seal colony and follow yachts as they round the island for the leg across Storm Bay. We aim to travel to Fortescue Bay to anchor the night and travel back to Hobart on day three in company with more Sydney to Hobart yachts. Jimmy Emms, our photographer, will be aboard and you are invited to pick his brains and get the best shots possible. You will also get access to his shots from the trip (all the shots on this page are his from previous trips). This is a unique opportunity to experience Tasmania’s stunning wild coastline and witness some of the world's best ocean racing yachts competing in one of the truly great open-ocean races in the world. What a great Christmas present! Join us for this exciting experience and feel the thrill of life on the open sea in a luxury ocean racer/cruiser. You can participate in sailing the 62-foot maxi and Sydney to Hobart race veteran. Take the helm, work the winches or learn about navigation; the experienced crew love to show you the ropes. All food and refreshments are included and a selection of fine Tasmanian wines and beer is included with meals.